All the mobile tools you need in one place. The Georgia Southern App Store is the place to find all the recommended mobile apps for current students, faculty and staff, organized into easy-to-use categories for quick access. 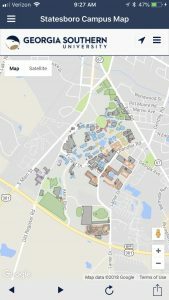 By using the Georgia Southern App Store, you can be sure that the most important and useful apps are right at your fingertips. To get started, download the app store to your smartphone or tablet. 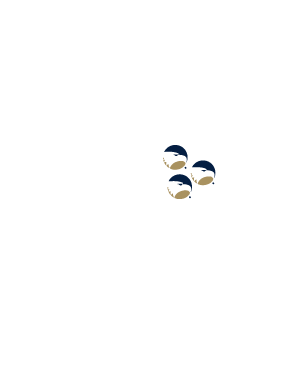 The Georgia Southern App Store is optimized to work on mobile devices, it’s not intended for desktop computers. Once you have the Georgia Southern App Store installed, you can browse the collection of mobile apps recommended for you and choose which ones you want to install on your device(s). Note: On iOS and Android devices, the GS App Store will install in the background once you click Install. If you’re stuck on a blank page, just close your browser (e.g. Safari or Chrome) and return to your home screen to open the app. 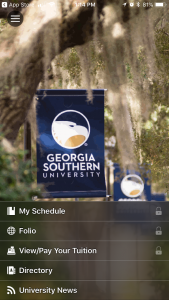 Access Folio, Georgia Southern’s online classroom tool, from your mobile device. Available exclusively from the Georgia Southern App Store. Never miss out on RAC programs and events again! The CRI app features a live calendar feed with easy to set reminders so you can stay active at the RAC. Available from the Georgia Southern App Store, the App Store and Google Play. Discover Georgia’s unique history. Easily locate more than 2,500 markers that commemorate great events in the state’s history via your smartphone. Available from the Georgia Southern App Store, the App Store and Google Play. The LiveSafe app provides two-way, real-time interactions with Public Safety that include text, calls, photos and videos. 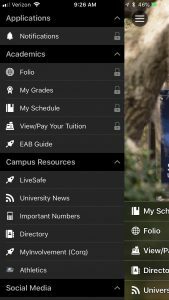 The app is available as a free download for all Georgia Southern students, faculty and staff. In addition, Georgia Southern parents may download LiveSafe to receive alerts and notifications. 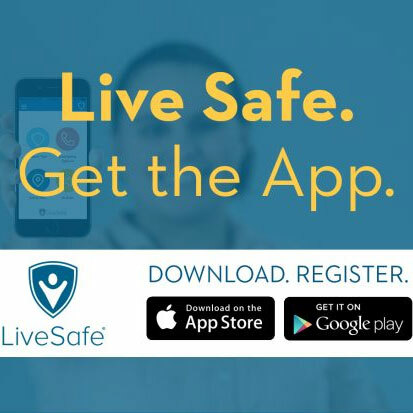 Download LiveSafe from the Georgia Southern App Store, App Store and Google Play.